This graph shows the total number of students enrolled in public elementary and secondary schools in Canada in the academic year 2016/17, distinguished by province. In the academic year 2016/17, about 2 million students were enrolled in public elementary and secondary schools in Ontario. 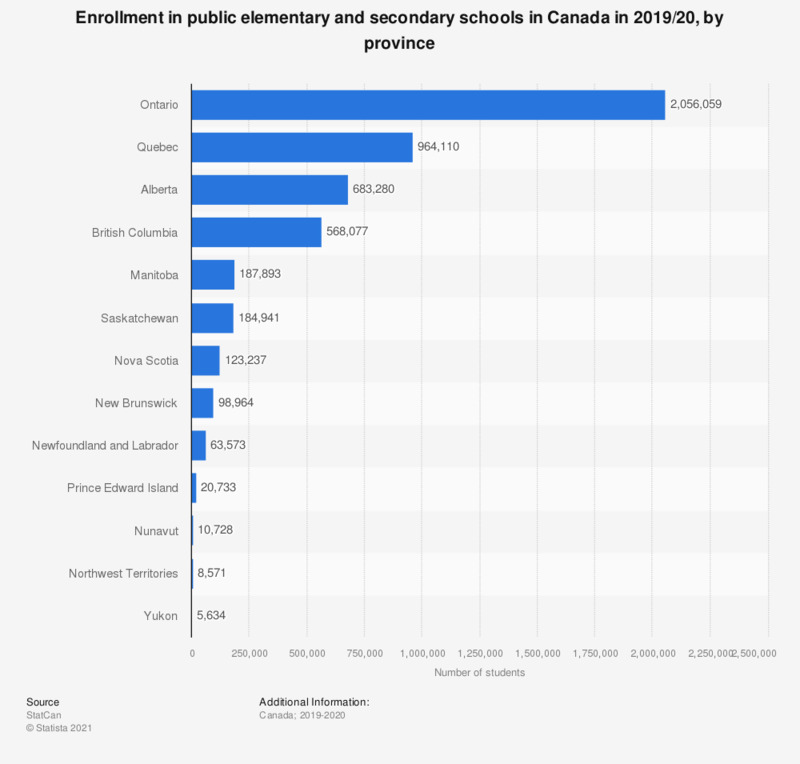 At this time, there were a total of around 4.8 million students enrolled in public elementary or secondary schools in Canada, a slight increase from previous years. With a primary school enrollment rate of 99.5 percent in 2017, Canada is one of the countries with the highest share of students in primary schools. The enrollment count represents the number of students (headcount) in September (or as close as possible thereafter) of the school year. Everything On "Education in Canada" in One Document: Edited and Divided into Handy Chapters. Including Detailed References.